Essentially, there remain two options for the British to leave the European Union. The first is called a hard Brexit. That means no real deal between the EU and the UK. Under this scenario the UK hopes to trade with the EU under World Trade Organization standards, somehow resolve the Irish border issue, and keep Gibraltar more or less as is. Some consider, however, that there will be immediate trade and bureaucratic issues that will lead to massive shortages and other problems in the UK (see Brexit and the ‘Doomsday Brexit Plan’ and “‘No-deal’ Brexit advice published by UK government” and “The US under Donald Trump will not play the same role that it has in the past”). The other option is a negotiated Brexit. This is already massively behind schedule. But there is pressure to make this happen. Pressure on both the UK and the EU. It is fraught with many pitfalls, including the fact that all the EU members will need to agree, and Spain and Ireland have special reasons to nix such a last minute deal. With or without a Brexit deal, things will get messy. Mr Juncker repeated the EU side’s line that “cherry-picking is not going to be possible” in the future trade relationship between the UK and EU. “I would rather have preferred Britain not to have decided to leave the European Union, but anyone who leaves the European Union has to know, frankly, what this means,” he said. Leaders in the European Union have repeatedly gone on record to state that the UK must somehow suffer for its decision to leave the EU. 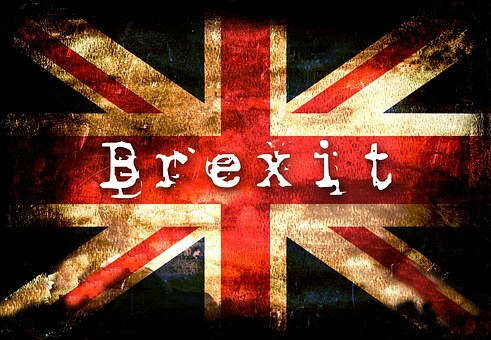 The EU does not want other nations to follow the lead of the British to leave the EU. But they now at least act like they want a deal. However, even with that, the EU will long remember Brexit and will one day make the UK pay a massive price for it. The Irish border issue still remains important. While the democratic way is one way, if that does not work, military pressure will accomplish this (cf. Daniel 8:24-25, 11:39; Isaiah 17:3). Even with a deal Europe is not going to ‘get over’ the Brexit and will one day take actions that most of those in the UK (as well as USA and Canada) will not consider possible (cf. Daniel 8:24-25, 11:39; see also USA in Prophecy: The Strongest Fortresses). This entry was posted on Saturday, October 6th, 2018 at 7:30 am	and is filed under Prophecy.